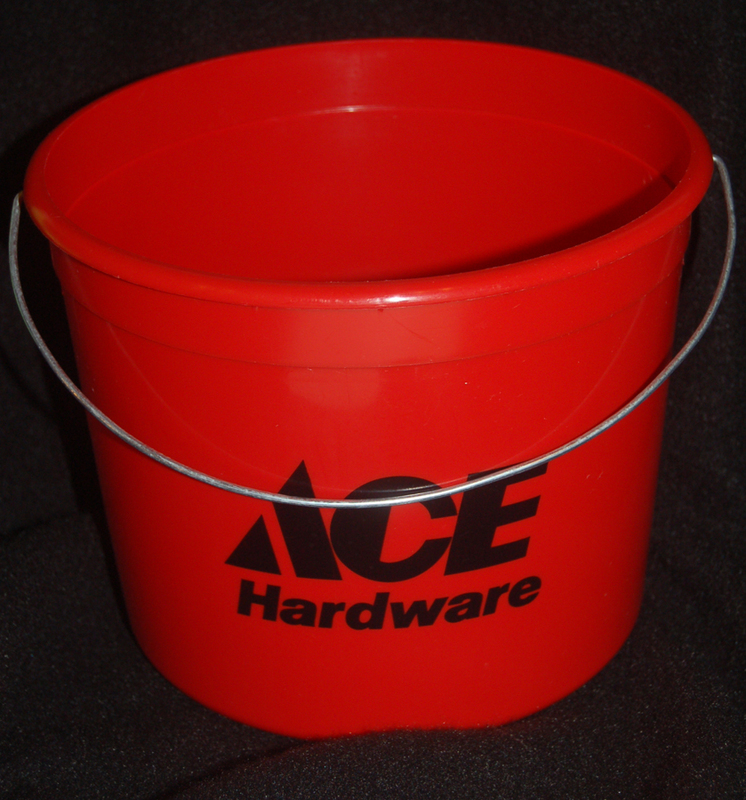 When my husband brought home this Ace Hardware bucket, I quickly asked if I could have it. I thought it would be the perfect receptacle for my little bits of trash that I usually sweep into a grocery bag that I have on the floor of my craft room. Yeah, I know, "tacky" and it really gets in the way, too. 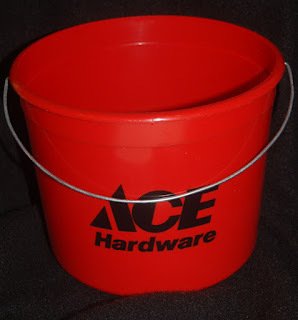 My plan was to attach a cup hook to the bottom side of my desk and hang this bucket...perfect right? 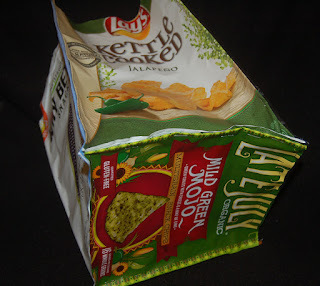 Ah, but it lacked craftiness. 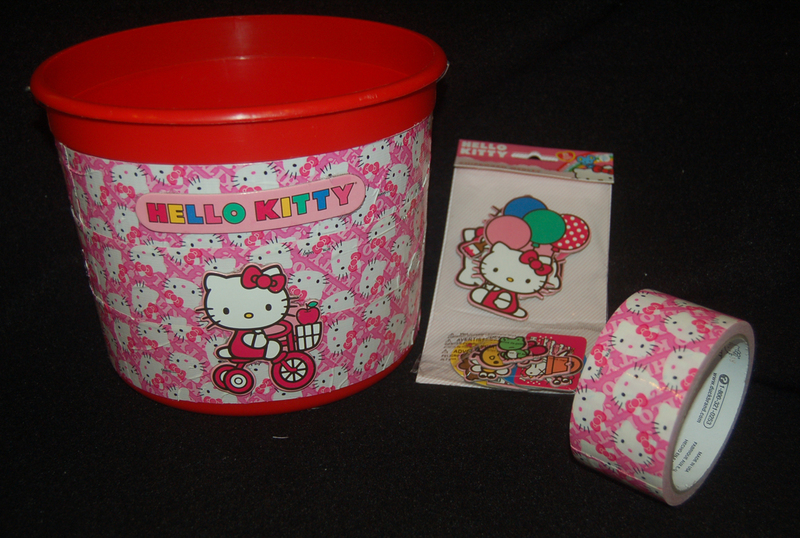 I spied the Hello Kitty duct tape from Ben Franklin Crafts that I bought without knowing what I'd do with it. 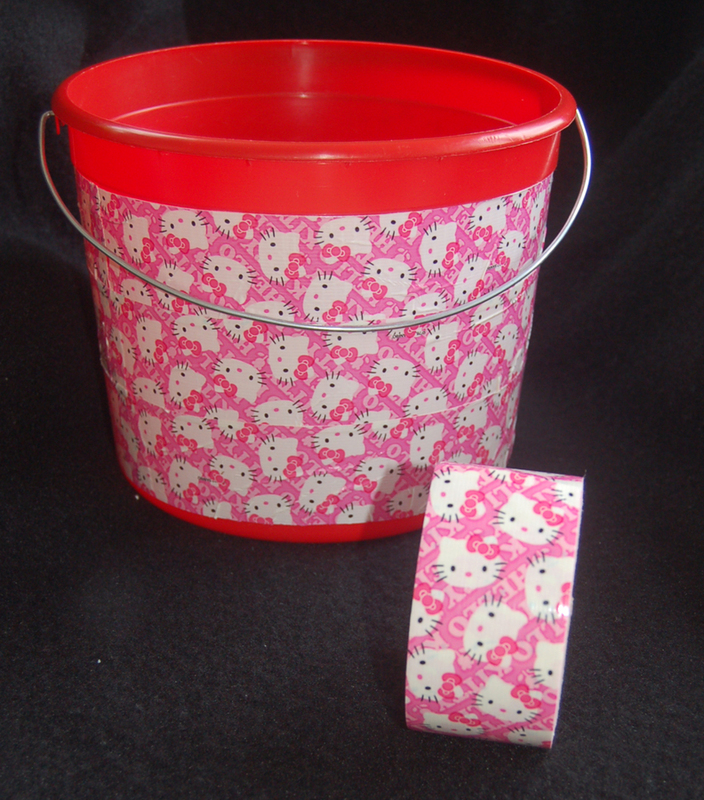 It was simple work to wrap the HK duct tape around the bucket. I stretched the tape a little and smoothed it as I went along but there are a few wrinkles because the bucket it not really straight-sided. Oh well, it's only a glorified trash can. 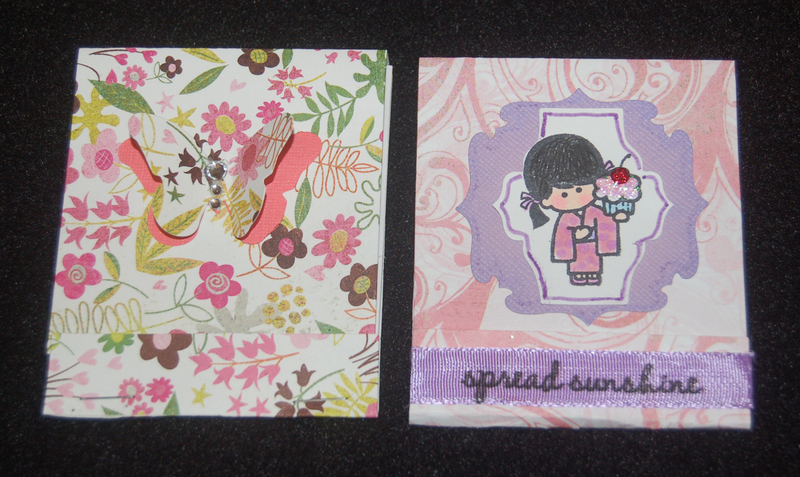 Even so, I didn't want it to be so plain and therefore, I glued on some Hello Kitty chipboard pieces (available at BFC). The HK pieces were glued on with Fabr-Tac and taped in place while they dried (I didn't have the patience to hold them in place). 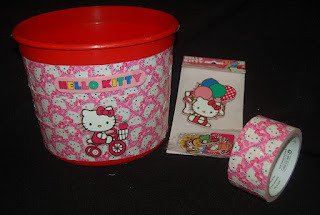 I am pleased with my new Hello Kitty trash bucket and thought you might like to make one too. 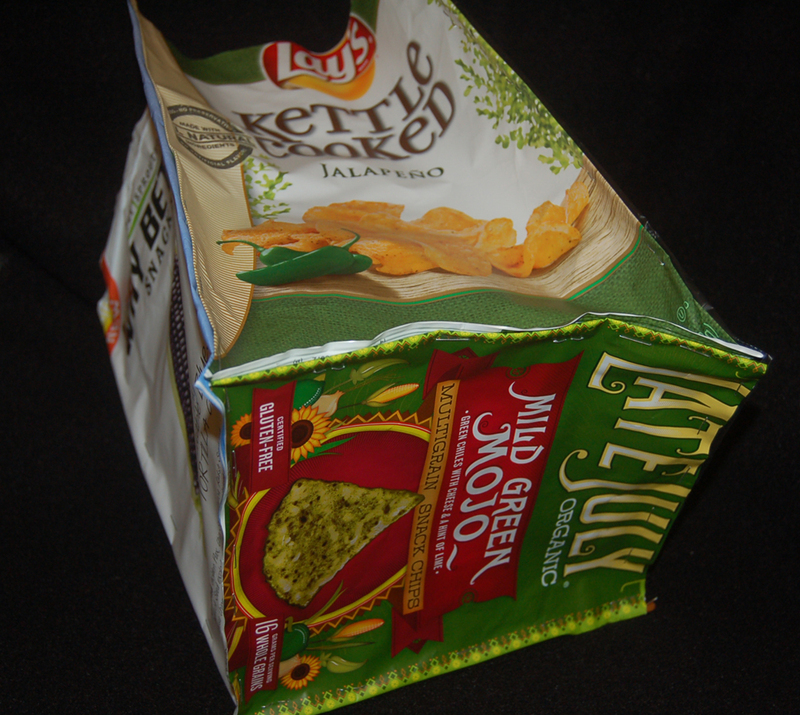 Perhaps you can use yours to store children's craft supplies or as a shower caddy for your favorite dorm student. 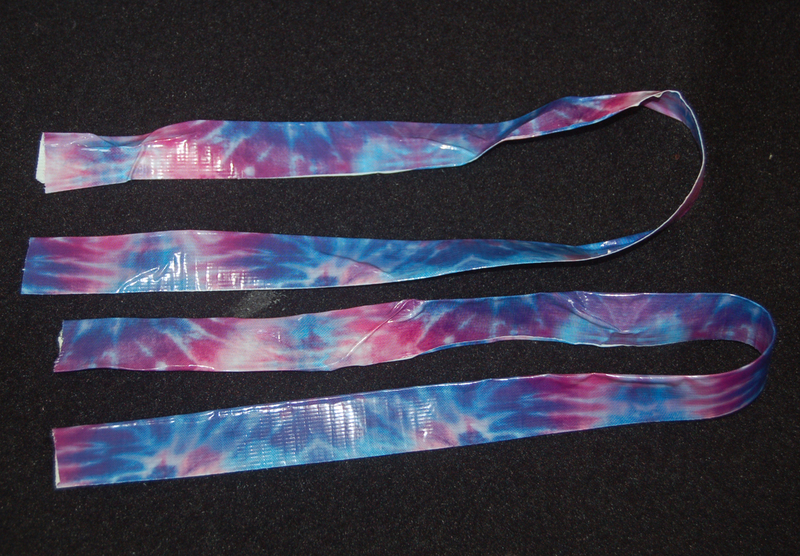 (There are boy-themed duct tapes at Ben Franklin Crafts, too.) If you do plan to make a shower caddy bucket be sure you decorate with waterproof stickers....perhaps spell out a name with letter stickers. You can easily make dozens of these (perhaps in a mini-size) for party favors at a nominal cost. Hope you liked this idea; visit this site again for another peek into my imagination. As many of you know, I am sort of obsessed with using up scraps, especially paper. I just cleaned out my bins and boy, do I have lots of beautiful, too-good-to-throw-away paper scraps. I had to think of a way to use them up. 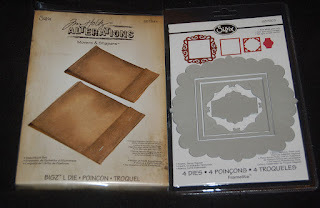 In a post a long time ago I made matchbook notepads by folding and scoring rectangle pieces of card stock, but when I saw the Tim Holtz matchbook die, I knew that it would make the cutting go faster. The following photos are the results of a little playtime with my scraps. 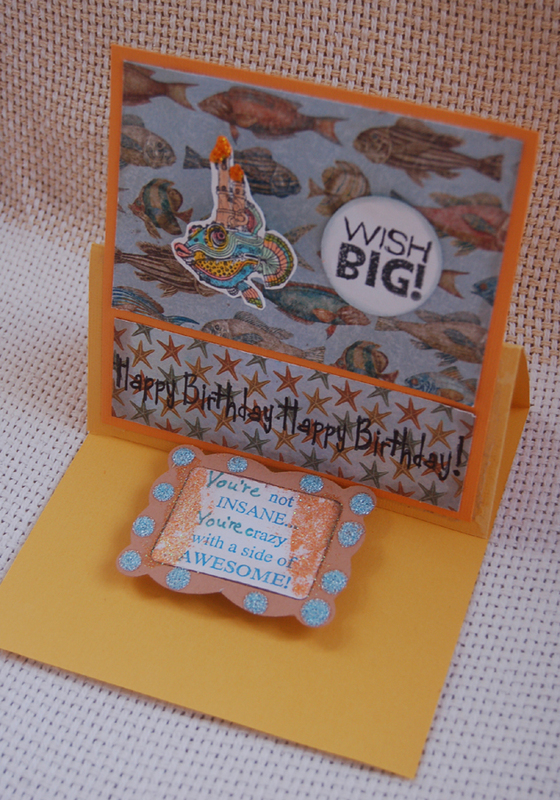 (Note: The TH die cuts two different sized matchbooks at the same time.) 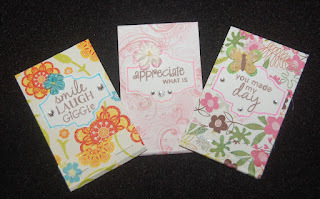 For the front decorations I used a Sizzix die set (Fancy Square....love, love, love it), stamps from a Hero Arts clear set (happiness messages), small Dandelion Design stamps, and assorted embellishments. The inside pages were cut from used computer paper...great way to recycle all those printed-on-one-side sheets. 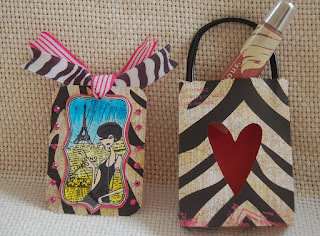 One of the matchbooks has a cut out butterfly that was made with a Tim Holtz magnetic die that can be inserted in the opening of one of the matchbook dies. The back of the front cover was then covered with a solid colored card stock and the butterfly glued back into the opening. Sometimes I didn't staple nicely so I covered up the boo-boo with ribbon. 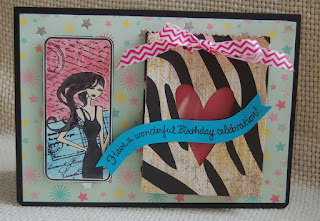 (See the matchbook with the DD image holding a cupcake.) With all the ribbon I have, I couldn't find a lavender one of the right width, so I printed the Hero Arts saying on Heiko ribbon using black pigment ink. I feel good when I don't waste my supplies and recycle. I plan to pass these little scratch pads out to friends and as a type of bonus 'tip' to those who give good service (hair dressers, waitresses, etc.) (I read about another blogger who passes out handmade magnets.) Craft a little happiness today! 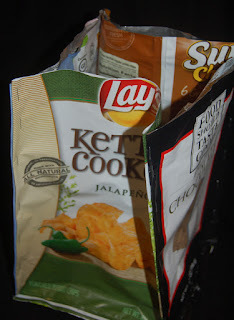 1) Wash and dry five chip bags (two wider ones for the front and back and two narrower ones for the sides and a smaller bag for the bottom). 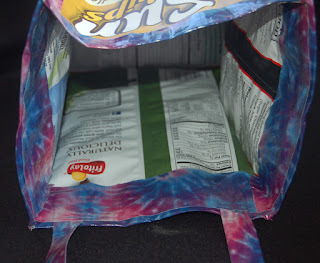 2) Staple the front and back bags to the side ones to form the tote. Trim the top even and staple the bottom bag (cutting if necessary) in place. 3) Next cut and adhere four pieces of duct tape to fit the bottom edges of the tote. 4) Tape the sides of the tote and then the top. 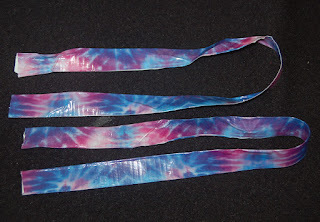 5) Form two handles by folding 22-1/2" strips in half lengthwise. 6) Attach the handles inside the tote with more duct tape and add more tape around the inside rim of the tote. 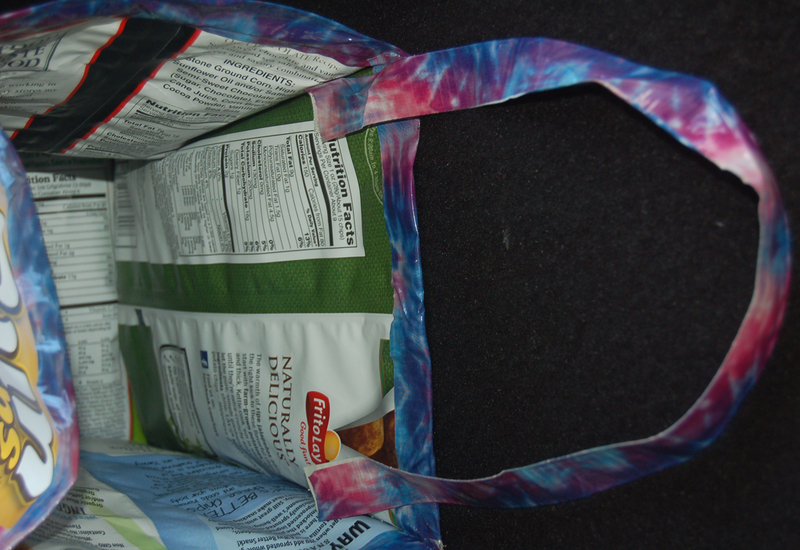 The new colorful tie-dyed duct tapes are pretty forgiving so if you have gaps in the corners of the tote you can easily patch them. 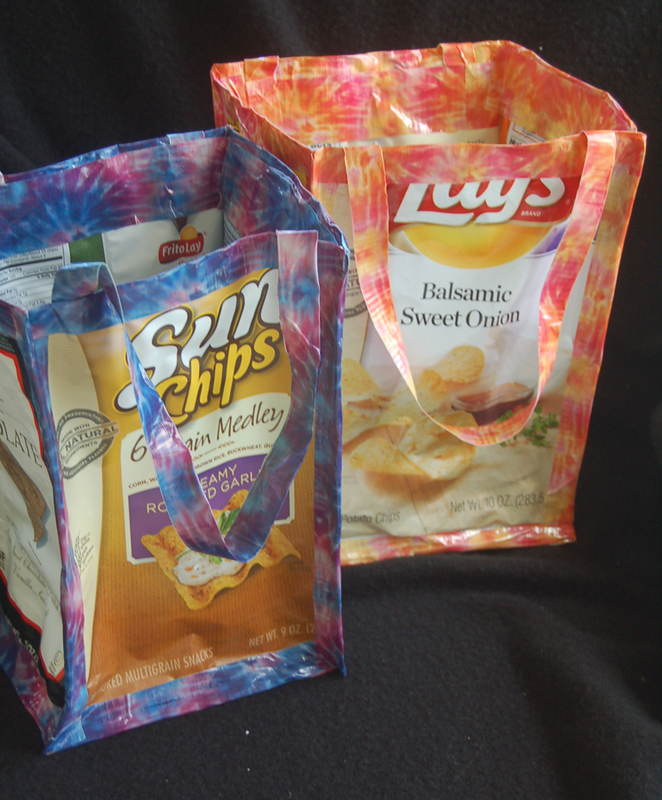 I hope you'll try to make a recycled chip bag tote or maybe you can design your own chip bag duct tape project. 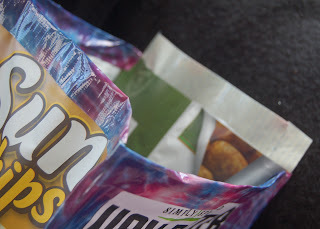 Happy recycled crafting! 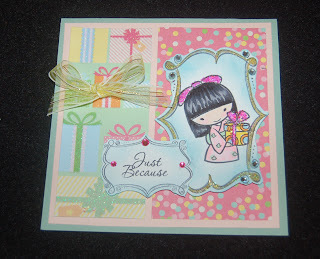 Amazingly, I don't have any card making occasion coming up soon, but I just had to test drive the new Sister Stamp and Hero Arts stamp set I recently acquired. 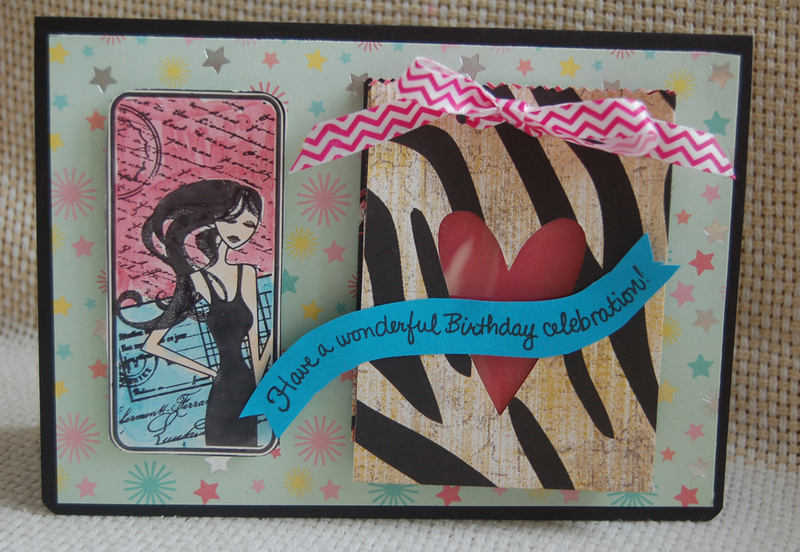 Because this card is going into my card stash, I left the sentiment vague and plan to add, ' It's your Birthday' or It's your _____________' inside to suit the event. 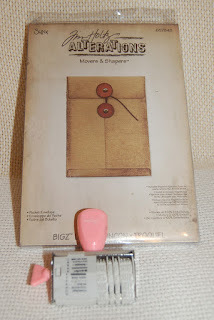 I love the Hero Arts stamp set (purchased from Ben Franklin Crafts) because it has two sizes of each style frame and sentiments which pop out and are unchangeable. I chose to use the Sister Stamp image with the gift in hand because it matched the Martha Stewart decorative paper (from 12x12 pack). Some bling was added (glitter and crystals) because the paper had a bit of texture and shine. Coloring was done with Copic pens and color pencils. Since this card was so easy to make and turned out pleasing, I made two for the stash box; it's great to be ready for those emergency "oh, I forgot" gift occasions. Thanks for taking time to visit this blog site. Please return often for more ideas. Yay! 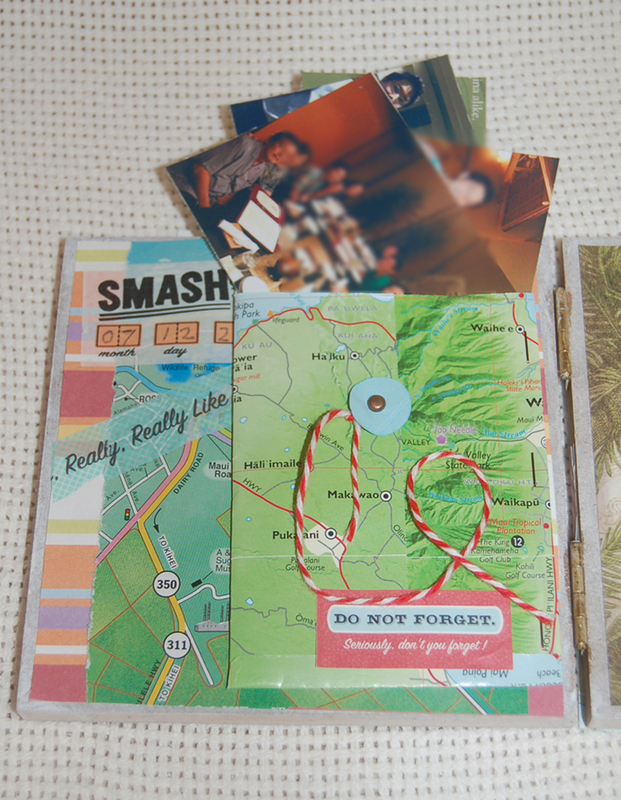 I was a 'good' girl today and I finally finished a project that I started awhile ago......a SMASH inspired photo frame mini-album. The base of the project is a press wood type photo frame from Sierra Pacific which I whitewashed with a watered down white acrylic paint. While at the Kahului airport, I spied a bunch of tourist brochures and thought they would be perfect for my SMASH (haphazard scrapbooking where anything goes). 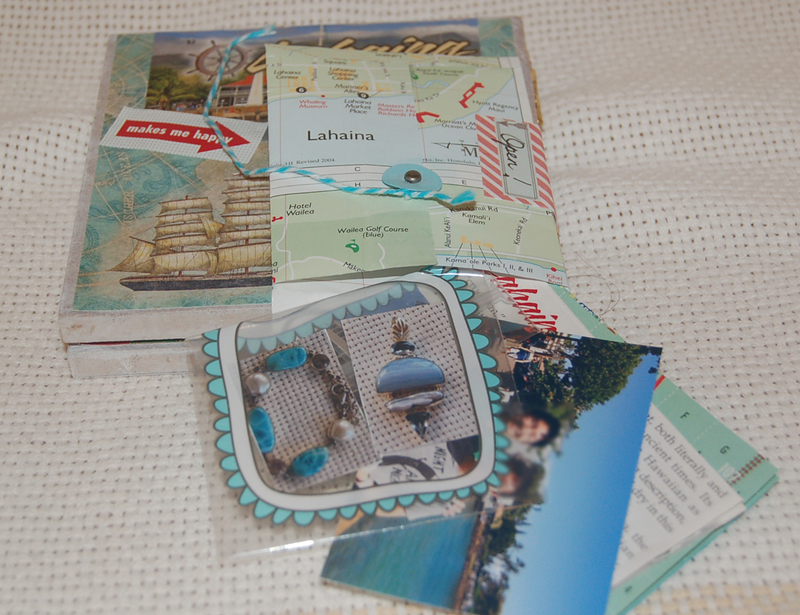 I used several of the maps for background and some for mini-envelopes with brad and twine closures. 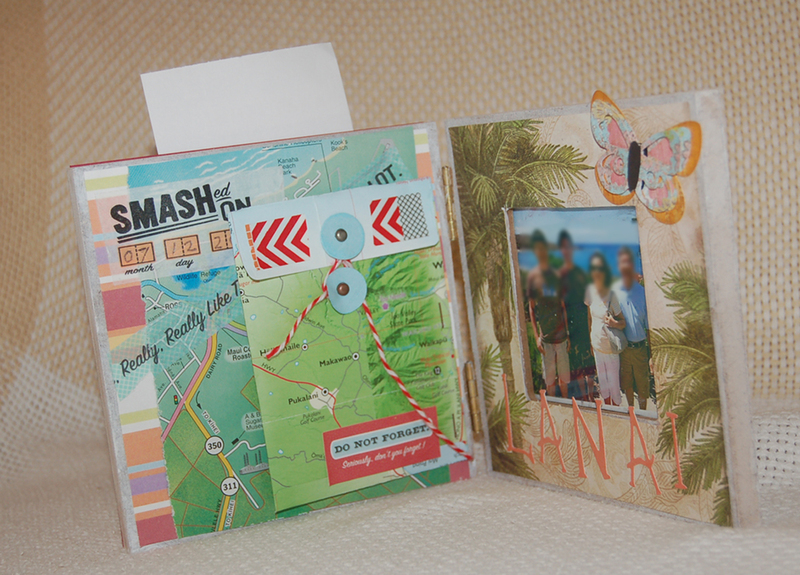 The envelopes were cut using a Tim Holtz die and filled with photos, clippings, and other memorabilia. 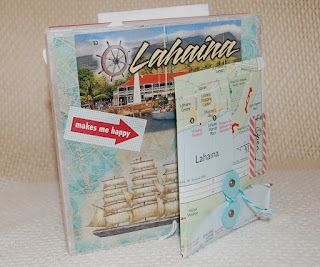 This project is an excellent way to use up paper scraps. I'm very happy with the way this photo frame/album turned out because it is a visual way to remember a nice family trip and unlike scrapbooks it will be left out to be enjoyed regularly. Ben Franklin Crafts stocks a wealth of SMASH products for you to investigate and purchase. I hope that you will take a creative journey and explore a new way to collect your memories. May your week be filled with creative sparks! I had to hurry and finish this B-day card for my son and get it in the mail before the weekend. It didn't turn out exactly as I had hoped but I put a lot of thought into it so that it would suit and amuse him. Since he is no longer a teenager and definitely doesn't like sweet, cute stuff I had to keep the look simple and masculine. I decided to make an easel card so perhaps he might look at it for more than a few seconds. The birthday boy is a wild and amusing fellow with a variety of interests (raising a puffer fish was one of his more recent projects). 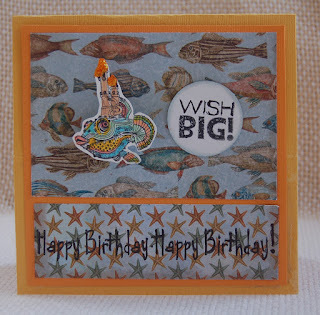 When I saw the steampunk puffer fish stamp at Viva Las Vegastamps, I knew it would be the perfect one to go with the stamp, " I'm not INSANE..... I'm just crazy with a side of awesome." (also from the same internet site). I changed the 'I'm' to 'You're' by cleaning off the ink on I'm before stamping and then writing the 'you're' in blue ink. The fish and star paper is the same double-sided one from K and Co. The Wish Big words are from a small G studio set. The puffer fish was colored with Copic pens and the castle turrets were decorated with Stickles to look like lighted birthday candles. 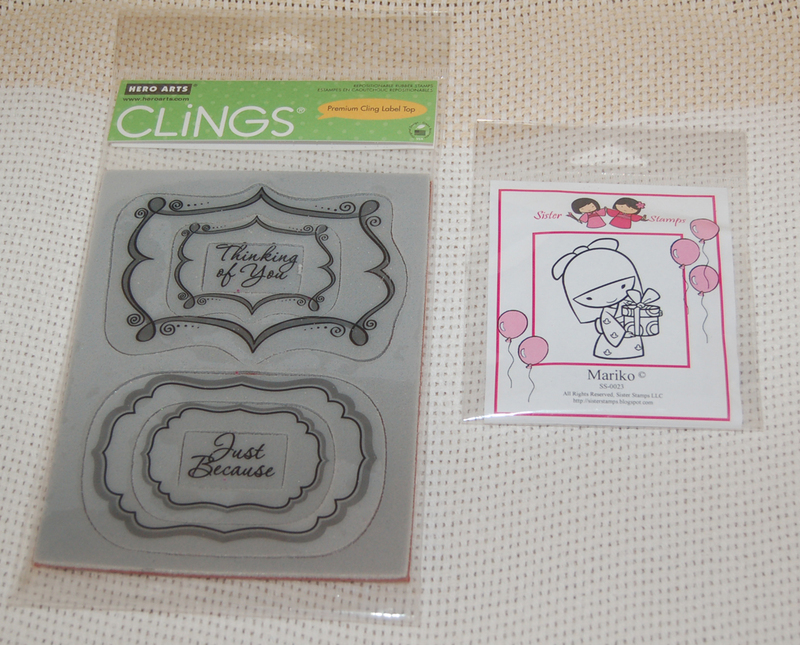 Stickles were also used to decorate the inside plaque which holds up the card. 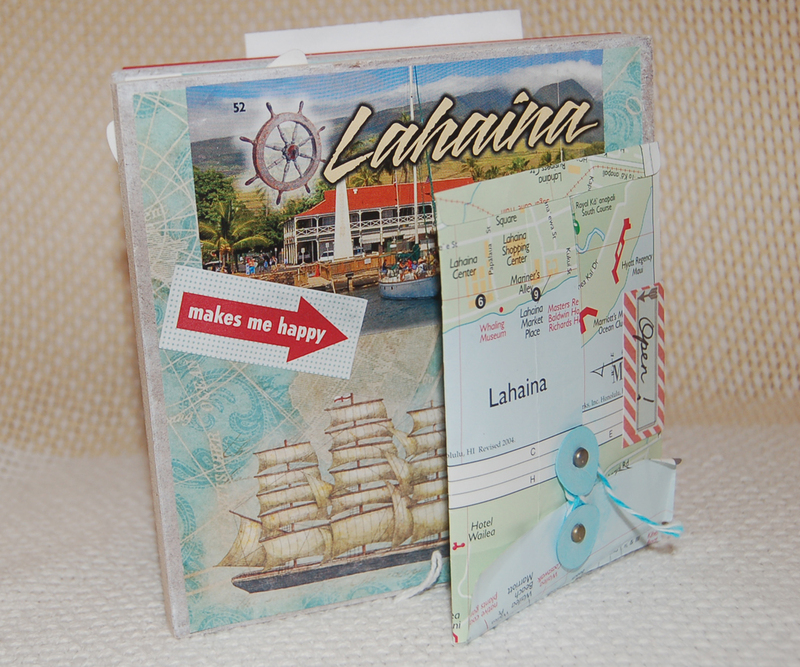 The plaque was cut out using a new, thin Sizzix scallop edge die with an interior rectangle. Inside the card I plan to write a message that says "Wish granted......" I think my son will get the humor and meaning of the card even though maybe no one else will. I guess we just have the same 'sick' sort of mind....LOL! Hope this long post won't discourage you from returning back to this blog to view the creative side of my life. See you soon! I was supposed to be working on finishing some half-done projects, but the lure of playing with my new Tim Holtz die toys beckoned to my 'bad girl' side. Luckily, the 'playing' resulted in some pleasing paper crafts so I didn't feel SO bad.....I'll complete those other projects...promise! The card (first photo) used a base of a 5"x7" black card blank from Paper Accents to which I added a piece of printed Martha Stewart card stock from the Modern Festive 12 x12 pack. 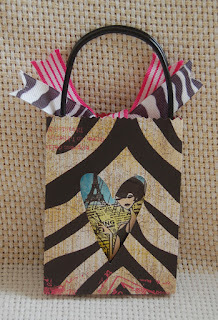 It was easy work to cut the bag from a piece of zebra print Heidi Swapp double-sided card stock using the Tim Holtz bag die with a magnetic heart die in the center of one of the bag panels. ( See second photo.) 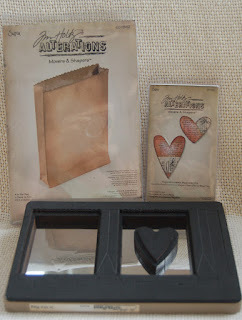 (There are lots of little magnetic dies which can be used instead of the heart to cut an opening,) After folding and taping the bag, it was punched with two holes and strung with American Crafts ribbon. 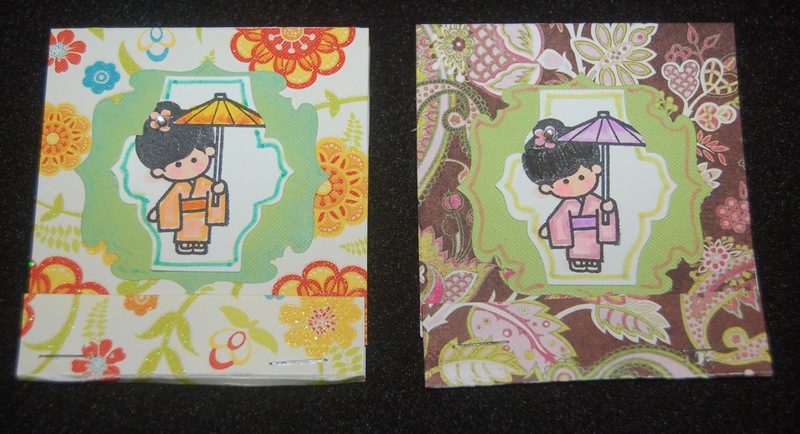 The girl image (Hero Arts set) was stamped on glossy paper and colored with Copic pens. 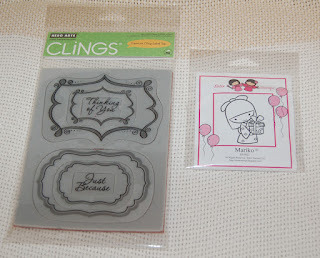 (If you get smudges try using a waterproof ink or heat embossing with black embossing powder before coloring.) 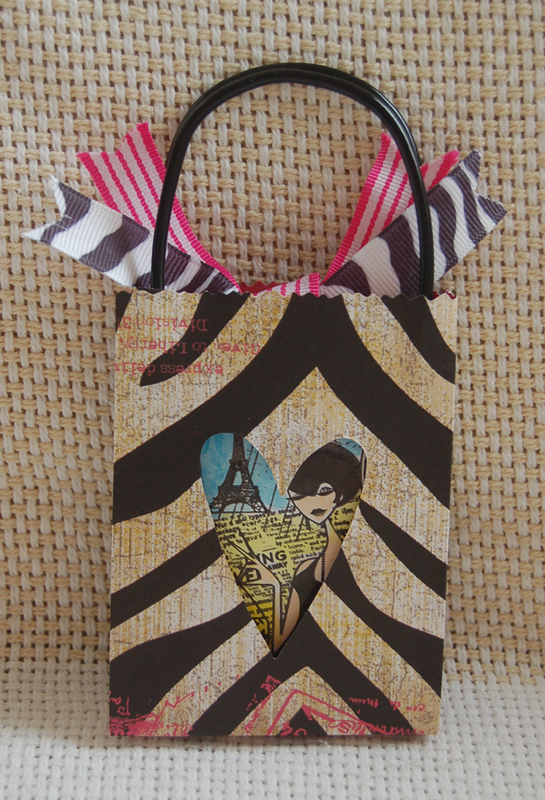 I designed this card so that the bow can be untied and a gift card or small gift inserted into the bag. 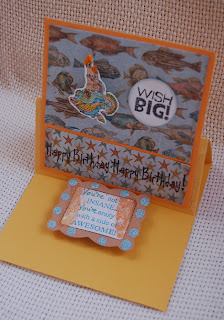 I stamped the words (old stamp from my stash) onto blue card sock and hand-cut the banner shape. Oh yes, I added a piece of acetate to the inside of the heart shaped window. 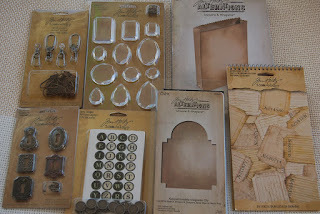 As much as I love the flowery Martha Stewart items I showed you in a previous post, I love the mechanical, steampunk look of the Tim Holtz line. 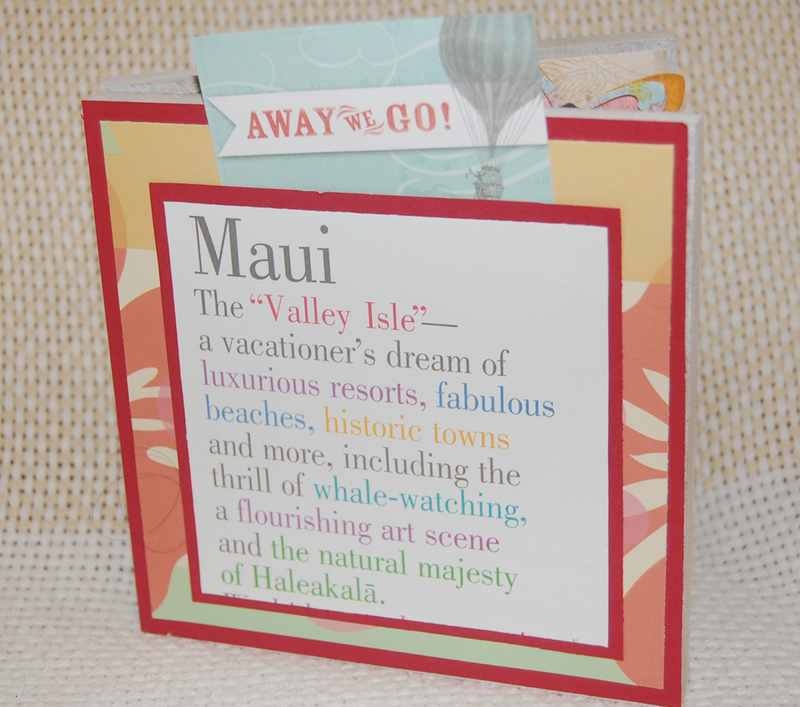 Recently, I spied a great display of Tim Holtz stuff in the Mapunapuna Ben Franklin Crafts store. Some of the cool stuff like the swivel clasps, keyholes, faceted gems, and typewriter key charms were purchased to make the vintage-look jewelry that is so popular now. I also found two new dies: 1) mini cabinet card and 2) in the bag, which I found irresistible even though I have no idea yet what to do with them. Also hopping into my shopping basket was a Tim Holtz spiraled pad of journaling tickets....just too interesting to ignore. 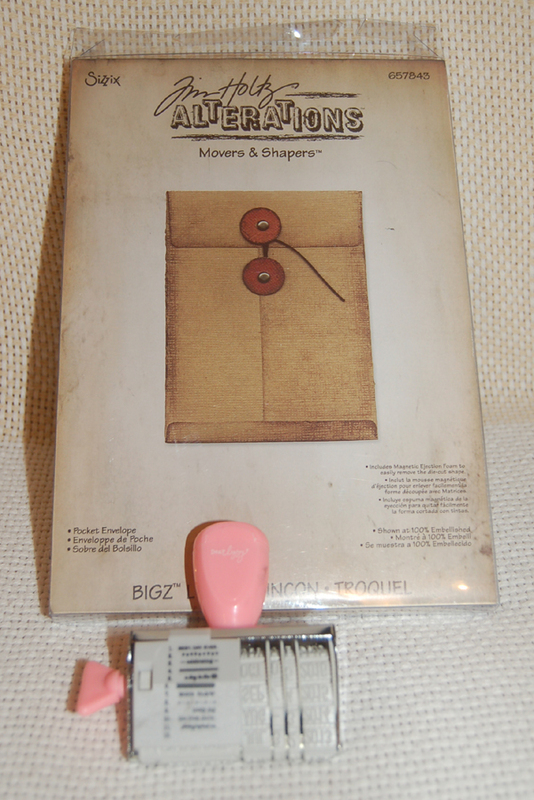 I hope you'll make an effort to check out these imagination stimulating products at Ben Franklin Crafts. 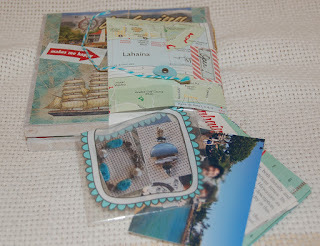 Your next BEST craft project is just an inspiration away! I tried the Martha Stewart paper embroidery kit to make the two tags in the photo. I am pleased with the results and the quality of the kit materials. 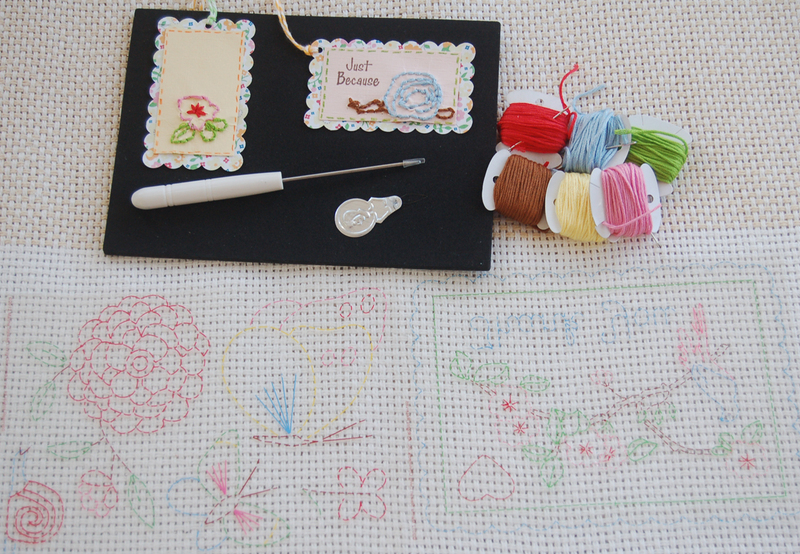 In the photo you can see the parts of the kit including the colored thread, awl, punch mat, acrylic templates,and needle threader. Although I have limited embroidery skills, I thought that for a first attempt at this new technique, the tags turned out to be quite appealing. In future paper embroidery projects I think that I should use a stronger, less porous paper that can stand up to the push and pull of the large-eyed needle. Maybe I'll try sewing on a piece of interface material and then adhere it to the paper because interface material is very tough. 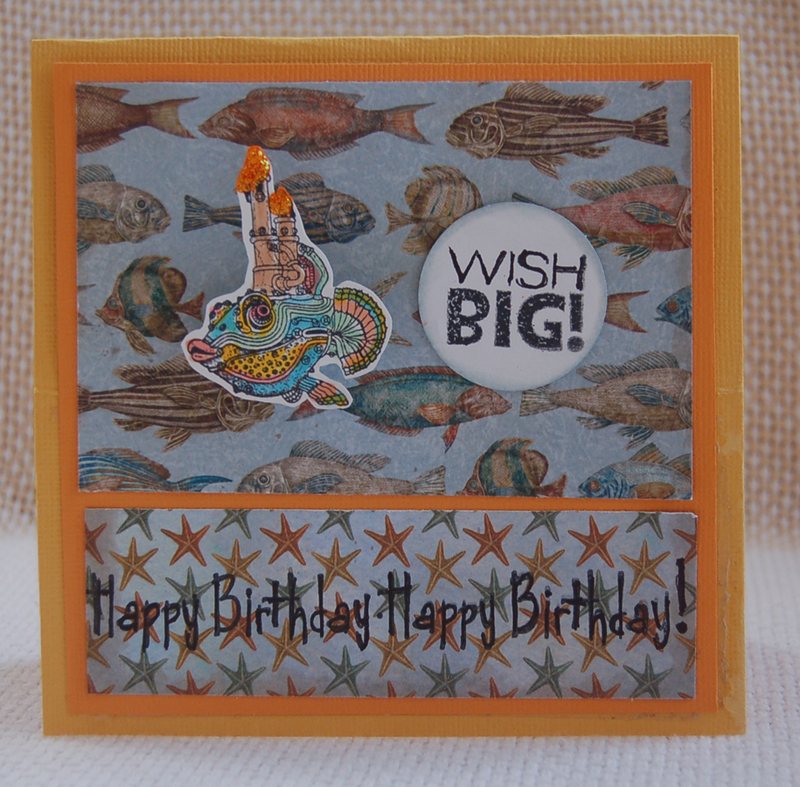 If you like to make cards or tags with a bit of colorful textured designs, this MS kit is something you should try. A new craft technique is a good way to get out of a boring craft rut. Thanks for visiting! Come back again....soon!